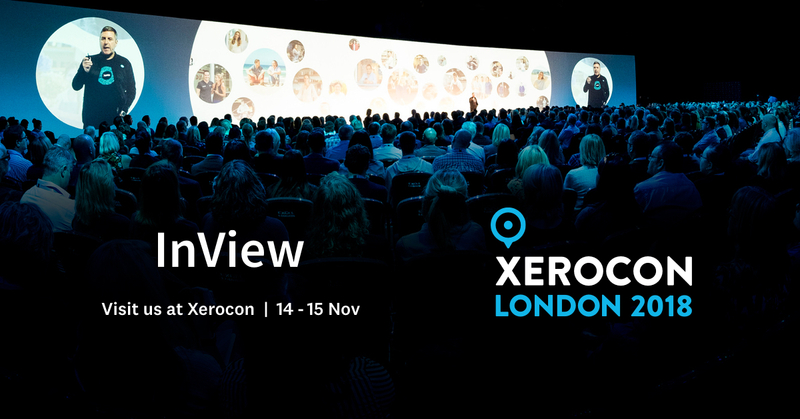 InView is exhibiting at the innovative conference for cloud accounting leaders, Xerocon London. 14-15 November 2018, ExCeL London. Xerocon London is one of the most exciting accounting technology events in the UK that charts the path of innovation for the next 12 months. The event will be held on 14-15 November in the International Convention Centre, ExCeL, at London docklands. Discover the unique global platform that empowers partners to harness worldwide networks, do business across countries, and encourage the growth of small businesses all over the world. Xerocon London brings together accountants, bookkeepers, ecosystem partners and industry leaders. Regarded as the master class of technology and thought leadership for small business advisors. Compleat will be exhibiting alongside Xero partners and advisors, and top-tier business and fintech journalists. You can arrange a chat with the InView at the show by emailing hello@inviewapp.com or by visiting us stand B42.